Is something in the cards? Something? Sure. Lots of uncertainty though. I’ll hopefully have a post when things are clearer. I'm assuming your sacrificing yourself for the greater good?? Moved stuff around for Sun-Mon. I'm buying in. However, the last time models were consistently onto something this far out it washed everything away a couple weeks ago. Even better for me. Classes start Tuesday so no work till this storm is out of the way. Even so, going till Thursday after this storm won’t be too difficult. I'm starting to get excited. Friday looks like. Sunday looks like the main event. Still too far out for details, but a Chasing Snow post will be coming this week. But where do I go this weekend? So many options! Damn. Time to start burning tickets. 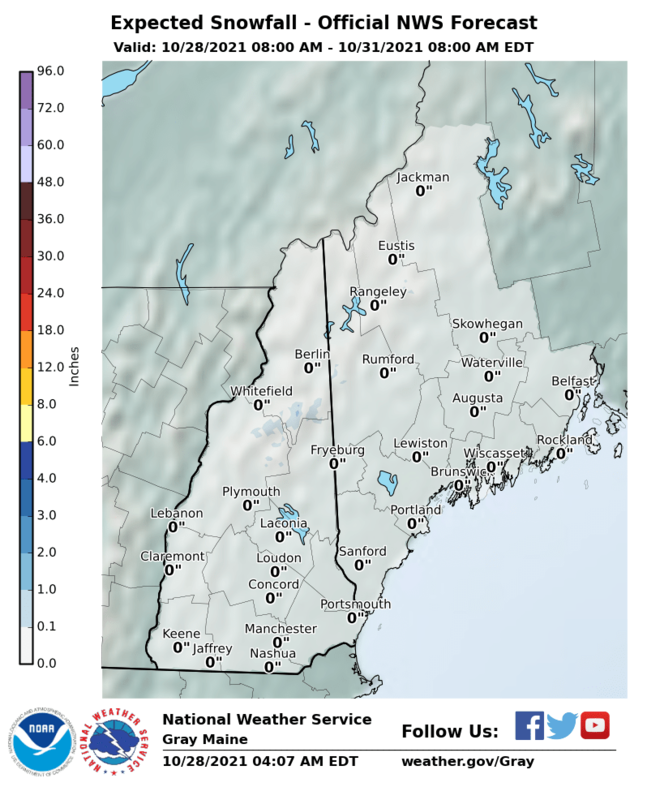 Friday is the tease and trending worse for north of Mass. Damn Sat-Sun ticked a bit warmer today too.Still planning on a day trip to Magic Sunday. This Sat-Sun storm is a tricky one. A lot messier than last week's deal. Good things - A LOT of moisture vs. the last storm (1-2"). Looks like it will be a mess in the flatlands. Going to be a rough drive Sunday morning. Mixing in the Berks, SVT, SNH areas? Winds look horrendous all weekend. Wow, it looks like Wildcat is the place to be. 6-10" overnight on Saturday and 14-20" during the day on Sunday. Not if a southern trend starts going. I'm debating what to do about a blog post. I'm not ready yet to put forecast totals out there. It's premature for that. I am confident in a juicy storm, but that's where the confidence stops. Yes, it could be big. Okay... here is my story. I'm staying quiet on Chasing Snow until I can be more confident with actual numbers. Why am I so nervous? Because we are too far away. Because the upstream energy is still out over the Pacific, there is a lot of uncertainty. My biggest concern right now is the thermal profile. There's going to be plenty of cold air entrenched over Quebec. And plenty of moisture being pumped up from the south. Where the front sets up is the huge question. Some model runs are showing almost comical amounts of freezing rain at the boundary. For example, the latest European model puts out over an inch of freezing rain in places. How much snow are we talking about? Inland of the front, well over a foot. Exact amounts will vary based on things like the track of the storm and temperature profile. Just for fun, let's throw out the latest American model forecast for total accumulation through Monday. The European model is consistent with these general numbers, except it locally shifts them around the map. Hopefully you can see why I am going to sit on my hands. I'd be crazy to start announcing these kind of numbers four days in advance. Odds are these numbers will come down. Regression to the mean. LOL Euro has 23.4" over the next 10 days at my house and 27.7 at Cannon. The two other models show 0 to 2" at my house. Wow. That's the mean snowfall from all of the European ensembles. Those are some big numbers for an ensemble mean. But as big as the snow numbers are, that ice forecast would be the main event if this ever materialized. Yeah. Power outages+extreme cold is not good. That happened to me after Sandy. I had no power for 2 weeks and we got snow on day 10 and had to sleep at a neighbors house.